Spain’s iGaming market is now open for business. This has caused an influx in the licenses being issued to operators and software companies in the gambling industry. More and more of these operators are getting into the market providing more products and expanding on their services. 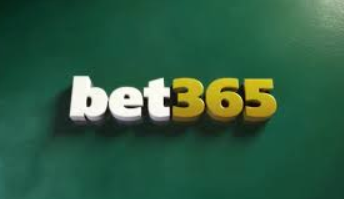 Bet365 is one service provider in the gambling industry who has announced that they will bring into the market an array of Microgaming slots which will be availed to the Spanish players. This has been made possible through a deal that was signed between Bet365 and Prima Networks. Prima Networks is the provider of products by Microgaming and is doing so to 12 Spanish iGaming operators after they attained a single license from the General Directorate of Gaming (DGOJ) in the country. Spanish players will have a great time gaining access to a range of Microgaming Slots from Bet365 Casino. There are more than 60 desktop games, as well as, 24 HTML5 mobile casino games available in the country. I am sure you have come across some of the big slots from Microgaming that were recently launched; as a Spaniard you will find games like Avalon, Terminator II, Jurassic park Tomb Raider, Thunderstruck II, The Dark Knight Rises and Gladiator among many more. At the moment, players will be in a position to gain access to 5 bingo games which include Pharaoh bingo, Super Bonus Bingo and Electro Bingo. Head of Games and Poker at Bet365; Christian Bogstrand commented on this launch and said that he was proud to have their games go live with such an array of games on the day that the Spanish regulated market allowed online slots gaming. Their new deal with Prima networks which is powered by Microgaming suggests that they now have the access to incredible games offered in the online gambling industry. It is an honour that their players will be in a position to enjoy these games. As a new player from Spain, you will be in a position to enjoy a wonderful welcome bonus which is 100% match up on the amount you deposit which can be as much as €100. Bet365 is one of the largest and fastest growing online gambling companies which have more than 3,000 employees around the globe and a customer base that exceeds 18 million. They are a brand to trust as they have their business licensed by the Gibraltar government and regulated by the Gambling commissioner of Gibraltar. You are sure of crystal clear gaming which has been secured by the Thawte SSL Web Server Certificate. With this, all your data is secure. As a player, you are an asset to the company and this is the reason they have a skilled team of customer support ready to assist you on all your queries.